Dried, unopened flower buds of a tropical myrtle tree. 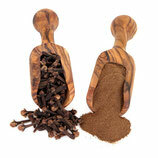 Cloves have a spicy, woody, burning, sweet and musty aroma. Their taste is sharp, bitter and pungent with a numbing feeling. 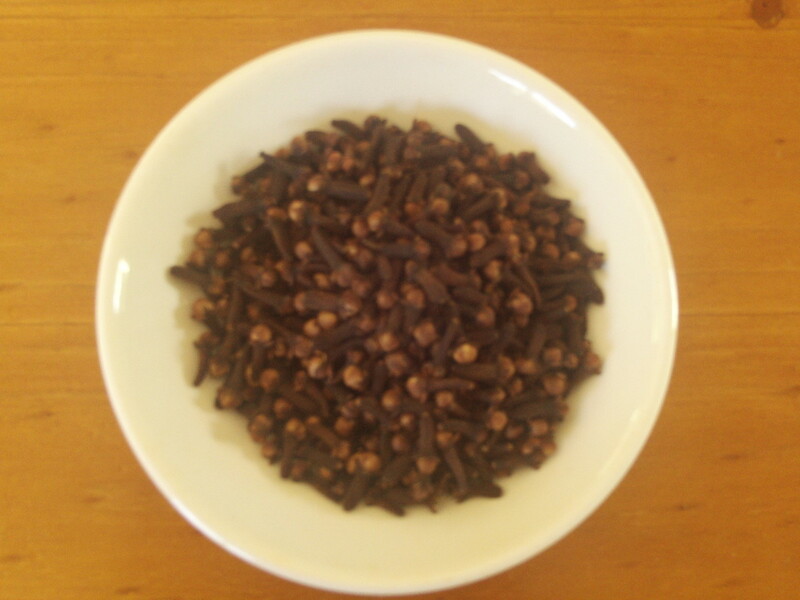 Cloves contains Vitamin C, Calcium, Vitamin A, Sodium, Manganese, Potassium and Magnesium. Cloves goes well with sweet, fruity, caramalized, chocolaty, and meaty notes. 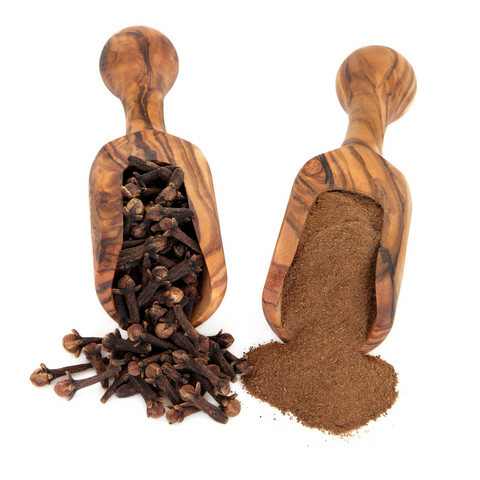 Ground cloves are often used in baked ham, red cabbage, carrots, pickel beets, sausages, pot roast, luncheon meats, cured meats, salad dressings, desserts, fruit cakes and puddings. It contributes to the flavour of Worcestershire sauce and ketchup.